Confident of winning his fourth term as Chief Minister of Chhattishgarh, Raman Singh has said the state polls might have some impact on the Lok Sabha election next year but it should not be seen as a referendum on the Narendra Modi government at the Centre. 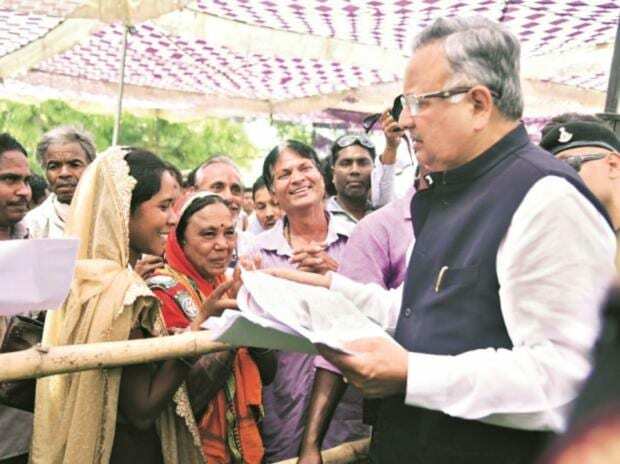 Singh, who has ruled Chhattisgarh for 15 years, also dismissed any impact of Congress president Rahul Gandhi's promise of farm loan waivers in his state on the upcoming assembly elections, saying farmers here have already been given zero-interest rate loans. The 66-year-old BJP veteran, who was a practising ayurvedic doctor before taking the plunge into politics in 1980s, told PTI in an interview that there is a "pro-incumbency" wave in the state on the basis of the work his government has done in the agriculture sector and the effective functioning of the public distribution system. Many political pundits have also called the upcoming assembly polls in five states -- Chhattisgarh, Madhya Pradesh, Rajasthan, Telangana and Mizoram -- as semi-finals before the 2019 Lok Sabha election, when Prime Minister Modi will make his bid for a second term with his party BJP eyeing to project him as a nationwide mascot of the party. The state elections have become more interesting with a direct fight between the ruling BJP and the Congress in at least three of these five states. Among the five states, Chhattisgarh is the first to go to polls in a multi-phase voting. The voting will take place for a total of 18 seats of Chhattisgarh assembly in the first phase on November 12, including for Singh's own Rajnandgaon constituency, while the remaining 72 seats in the state will go to polls in the second phase on November 20. The counting for all 90 seats will take place on December 11, along with the same for the four other states -- neighbouring Madhya Pradesh, Telangana, Rajasthan and Mizoram. Voting will take place in Madhya Pradesh and Mizoram on December 28; and in Rajasthan and Telangana on December 7. Chhattisgarh itself has over 1.85 crore registered voters, while it is over 5 crore in Madhya Pradesh and about 4.75 crore in Rajasthan. Mizoram has more than 7.6 lakh voters while the same for Telangana is about 2.6 crore. The number of assembly seats in Madhya Pradesh is 230, in Rajasthan 200, Telangana 119 and in Mizoram 40. In Chhattisgarh, MP and Rajasthan, the ruling BJP is pitted directly against the Congress, even as the presence of the Mayawati-led Bahujan Samaj Party's alliance with former Chhattisgarh chief minister Ajit Jogi's party has made the contest more interesting in that state. Besides, the Congress's plan to forge a broad-based anti-BJP alliance has failed to fructify fully in all poll-bound states. Exuding confidence that the BJP will win this time, Singh said the state polls may have "slight impact" on next year's Lok Sabha election. However, the state polls should not be seen as a referendum on the Modi government, the three-term chief minister said. Modi got a thumping majority in 2014 Lok Sabha polls, while Chhattisgarh, Madhya Pradesh and Rajasthan were among the states where the BJP won big. Singh is leading the BJP's bid to form the government in the state for the fourth straight time. The Congress was in power in the state only during the first assembly, after the state was carved out of Madhya Pradesh. With Naxal violence back in limelight, the opposition leaders in their campaign rallies have been accusing the Raman Singh government of failing on the security front. Singh said anger for Naxals is still there is the Bastar region and it would be his priority to ensure peace in the region if voted to power again. The entire Naxalism-affected region would go to polls in the first phase, including Singh's Rajnandgaon assembly constituency, which is known as his bastion. He said Jogi's presence has made the state elections three-cornered this time, but it does not look as difficult as it was last time. "I would say, the last assembly election was the toughest one, when Congress leaders were killed in Naxal attack in the Darbha valley," he said, adding that his government was questioned at that time over the Naxal situation in Bastar. On Salwa Judum, Singh said the movement emerged due to anger among people towards Naxals, which is still there but such movements could not last long. Salma Judum was mobilised in 2005 by the late Congress leader Mahendra Karma, who was assassinated by Naxals in 2013, as a vigilante force against the left-wing extremists. While many had described it as a spontaneous uprising of tribals against the violence in the Bastar region, it had acquired a controversial reputation with allegations that the state administration supplied them arms and helped them recruit untrained locals as 'special police officers'. They were also accused of burning villages, assaulting people and forcing them out of their homes. In the 2013 election, the BJP got 49 seats while the Congress secured 39. The BSP got one. The Congress, however, improved its vote share to 40.29 per cent, compared with 38.63 per cent and 36.71 per cent in 2008 and 2003, respectively. The BSP got 4.27 per cent of the total votes cast in 2013, down from what it got in 2008 and in 2003.